In a previous blog post, we presented the Top 5 museums to visit in Athens, listing probably the most famous and the most visited ones. Here are another 5 alternatives for all the museum lovers out there to choose from. The Museum of Greek Folk Art was founded by poet G. Drosinis, archaeologist G. Kourouniotis and a group of Athenian intellectuals in 1918. The museum's main mission is to collect, preserve and study Greek cultural heritage artifacts from the 17th c. to the 20th c., highlighting the cultural identity of modern Greece. At the moment the Museum is undergoing renovations in order to relocate its main exhibitions, so not all branches are open to the visitors. The permanent exhibition of the Museum was housed since 1973 in the main building of Kydathinaion 17, with beautiful wood carvings, embroideries, masquerades, silverware, shadow theater puppets, ceramics and jewelry among other traditional folk-art artifacts. The ongoing plan is to move the permanent exhibition to the renovated Tzistaraki Mosque in Monastiraki Square. At the moment, open to visitors are the Museum at 22 Panos str. and the Bath House of the Winds. The temporary exhibition “Man and Tools” housed in the Museum at 22 Panos str. displays tools used in Greek villages before the new era of mass production. 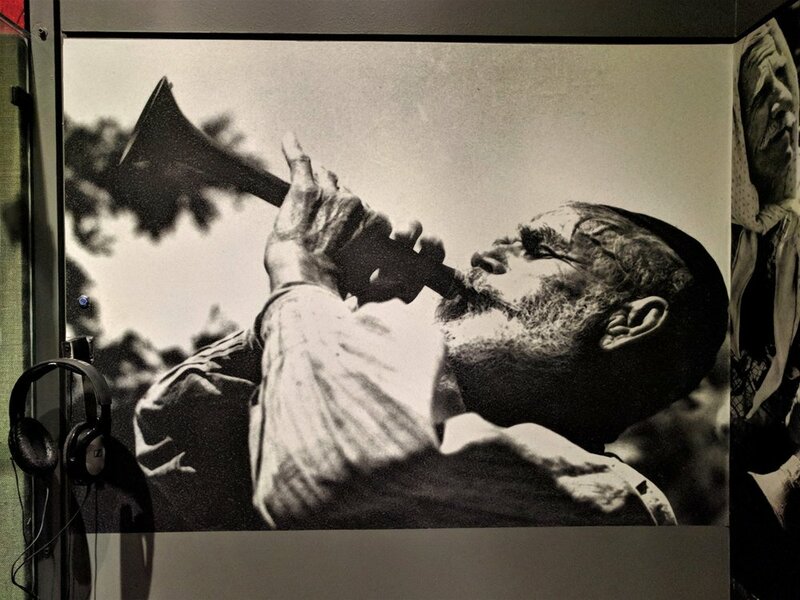 What is interesting about the exhibition however is that the artifacts are presented by the perspective of human agency involved, the people who created and used these tools, with mediums of narratives, archives, photographs and personal testimonies. This way, the visitor can get a better understanding of the way these tools were used and the impact they had on people's lives, as well as how much society and way of life has changed and evolved over the years. The Bath House of the Winds, located at Kyrrestou 8 near the Roman Tower of the Winds, is the only surviving Athenian public bath. It was constructed during the period of the first Turkish rule and served as a public bathhouse until 1956. In 1984 the Bath of the Winds became property of the Museum of Greek Folk Art, which has been in charge of its maintenance since 1998. The Bath of the Winds, or Hammam of Abid Efendi as it was called, is probably not the most beautiful Ottoman period bathhouse I have visited, but it is still worth a visit. The structure has a labyrinth-like architectural plan, with an underground furnace producing hot air. A free audio tour will be available to you during your visit to help you bring the bathhouse back to life mentally and travel you to its times of glory! The Museum at 22 Panos str. is open Tuesday to Sunday, 08:00 – 13:00. Closed on Mondays. The Bath House of the Winds is open Mondays and Wednesday to Sunday, 08:00 – 13:00. Closed on Tuesdays. More information about opening hours and ticket prices can be found here for the Museum at 22 Panos str., and here for the Bath House of the Winds. The Museum of Greek Folk Musical Instruments (MELMOKE) is a not so well-known museum in Athens, but it is an interesting alternative, especially for those who are interested in music and/or ethnography or for those who want to learn something different. Also, entrance is free of charge and it is in Plaka, so when you visit the neighborhood I suggest you take a break from your general strolling in the area to check it out. Personally, I decided to go on a very hot Sunday morning after a night out, so most of my friends though I was a bit crazy, but gladly Fivos agreed to join me. 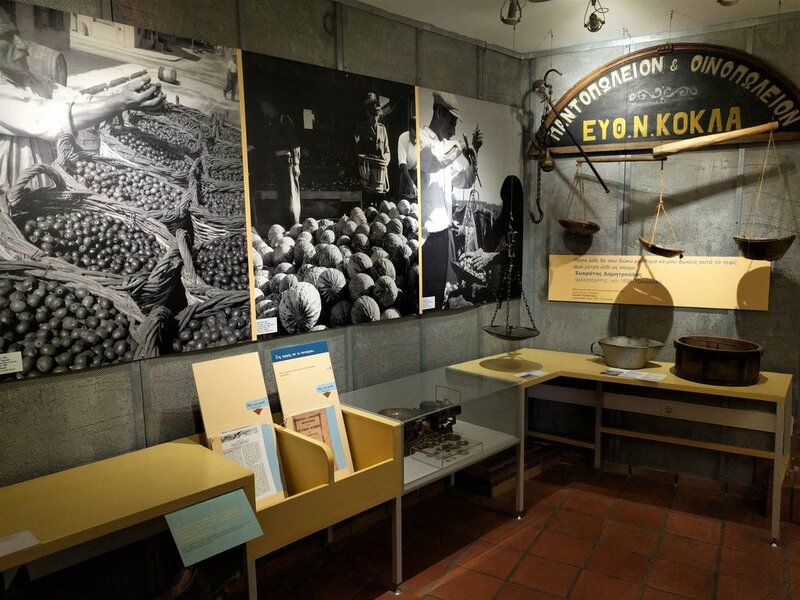 MELMOKE is a museum and a Research Center for Ethnomusicology established in 1991 and housed in the Lassanis Mansion in Plaka, a lovely neoclassical building dating back to 1942. The collection of more than 600 Greek musical instruments, dating from the 18th century to the present, is the work and research of the musicologist Fivos Anoyanakis, collected over 40 years from Greece and Asia Minor. Half of Anoyanakis’ original collection is on public display in the three floors of the museum. The displayed instruments have been selected for their ethnological, musicological and aesthetic value and are exhibited in groups based on genre (membranophones, aerophones, chordophones, idiophones). Greece has a very rich musical tradition, but I did not know that so many different varieties of instruments even existed. Even shot glasses and kompoloi were on display, along with other noise-making artifacts used in everyday life! 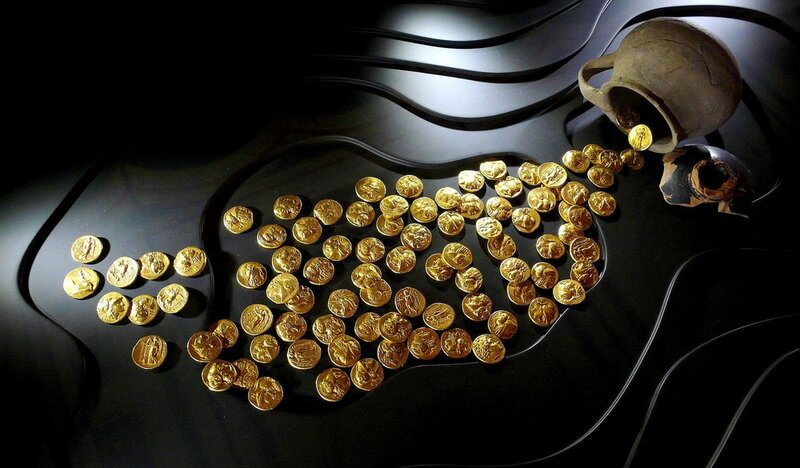 I enjoyed the blouses with coins and hats with bells that produce sound when the person wearing them dances. Some exhibits were also very beautiful in my opinion with interesting design, like some bouzoukia and ouds. We also found interesting the transition and transformation of laouto to guitar during World War II. You can listen to all these different types of instruments, as there are headphones available next to each exhibit. I was obsessing over the souravli and zourna but in the end I enjoyed the Cretan and Dodecanese lyras the most. I kind of wanted to start dancing in the museum or exit to the Plaka alleys while singing and pretend I am in an old Greek movie. Instead I had a coffee while facing the Acropolis Hill and I was very glad for being in Athens this sunny day. Opening Hours: Tuesday-Thursday-Friday-Sunday 10:00 – 14:00, Wednesdays 12:00 – 18:00. Mondays closed. More information about opening hours and ticket prices can be found here. Join our Athens Instagram Tour and see Athens through a unique point of view! The Numismatic Museum in Athens houses on of the greatest collection of modern and ancient coins in the world, with an enriched collection from excavations, purchases and important donations. The Numismatic Museum was established in 1834, the same year as the National Archaeological Museum, being at first part of the National Library of Greece and housed in the main building of the University of Athens. The collection was decided to move to Iliou Melathron in 1984 and opened to the public in 1998. The whole collection however became viewable only in 2007. The lovely neoclassical two-storey building housing nowadays the Numismatic museum was constructed in 1878-1888 by the famous architect Ernst Ziller, for the famous archaeologist and pioneer in the studies of Aegean civilizations in the Bronze Age, Heinrich Schliemann. The structure is influenced by the Renaissance Revival, while the interior was inspired by the architecture of Pompeii with impressive decorations and mosaics. The mansion is known as Iliou Melathron (Palace of Ilion), Ilion being another name for Troy. Heinrich Schliemann dedicated his life in the pursuit of the historical sites mentioned in Homer’s Iliad and the excavation of the nine levels of the archaeological site of Troy. The Museum houses a collection of around 600,000 objects, constituted of mainly coins, but also medals, dies, stamps and other artifacts from the 14th century BC until modern period. The exhibits are displayed in sections based on chronological and thematic criteria, supported by audio-visual material. The first floor is dedicated mainly to coins of the ancient world, from the 6th century BC to Hellenistic period. The coinage exhibited in the Hesperides Hall dates to the 6th and 5th century BC, when Greek Poleis (city-states) started issuing their own coins. I find the collection fascinating, like the famous owls of Athens, the turtles of Aegina and the foals of Corinth, some of the first coins ever issued in Greece! It is interesting to examine the main motifs on coins during ancient times, usually scenes from Greek mythology and divinities, portraits of rulers and politicians, flora and fauna – not so much different than modern euro coins! On the second floor you will start your tour with coinage from the Roman world – denarii, aurei, sestertii, solidi, and follies, some names probably familiar from the loved Asterix comics! The collection continues with coins from Byzantine period, the Western and Eastern Medieval world, up until modern and contemporary coinage. One room is also dedicated to the first coins of the modern Greek states, the first drachmas issued by king Otto in 1832, which has been the basis of Greek monetary system up until the introduction of euro in 2002. The Numismatic Museum also has a library, with around 12.000 books dedicated to the study of coinage, and a Museum Shop, with exact copies of some of the artifacts displayed. You can also enjoy a refreshment in the beautiful restaurant- café of the mansion, one of the most beautiful interior gardens in Athens, decorated with trees, flowers and copies of ancient Greek statues. Opening Hours: Tuesday-Sunday 08:30 – 15:30. Mondays closed. The Byzantine and Christian Museum, located near Evangelismos metro station in the heart of the Athenian center, is considered one of the most important museums in Athens. Founded in 1914, the Byzantine and Christian Museum houses today more than than 25,000 exhibits, including rare pictures, sculptures, mosaics, frescoes, pottery, fabrics, manuscripts and copies of artifacts dating from the 3rd century AD to the late medieval period and post-Byzantine times, representing the flourishing distinctive Byzantine style of the period. The Byzantine Museum is also in charge of recording and conservation of these important artifacts, as well as researching, studying and promoting the period to the public. The collection, even though it is mainly focused to religious artefacts, is not limited to such, as you can also find personal remnants of everyday life on display. The various artifacts of the collection come from all around the Greek world as well as from regions that were influenced by the Byzantine Empire and affected by byzantine art and culture. Byzantium or Byzantine Empire is the name given to describe the Roman Empire from the fourth century onward when the capital was transferred from Rome to Constantinople in 330. Byzantium was an ancient colony of the city of Megara (around 657 BC) which was renovated by the Romans and given a new name after the Emperor Constantine the Great. More than than 25,000 exhibits, including rare pictures, sculptures, mosaics, frescoes and copies of artifacts dating from the 3rd century AD to the late medieval period and post-Byzantine times can be found in the Byzantine and Christian Museum of Athens. To be completely honest I did not think much of this museum at first, even though I had not visited it for many years. However, when my friend Tom was visiting Athens he decided to go one morning that I was at work and he enjoyed it. As I do trust his judgement I decided to check it out myself. Interested in ancient Greek history? Learn more about the history of Peloponnese and visit the world renowned Epidaurus ancient theater! A visit to the Byzantine and Christian Museum will help you understand how Greece changed and evolved after the end of the ancient world and the spreading of Christianity. The exhibition approaches Byzantine and Christian art with a museological viewpoint, so the visitor can appreciate its beauty and ethnographical and cultural importance. The artifacts are displayed chronologically, with the first part of the exhibition dedicated to the transition from the ancient world to the Byzantium, while the second part, with the title “From Byzantium to recent times”, presents various sides of the Byzantium from the 15th century to the 20th century. It is worth visiting the Byzantine and Christian Museum at the moment as it hosts (until October 2018) the amazing exhibition Unveiling the Tomb of Christ, a 3-D experience inside the Church of the Holy Sepulchre. 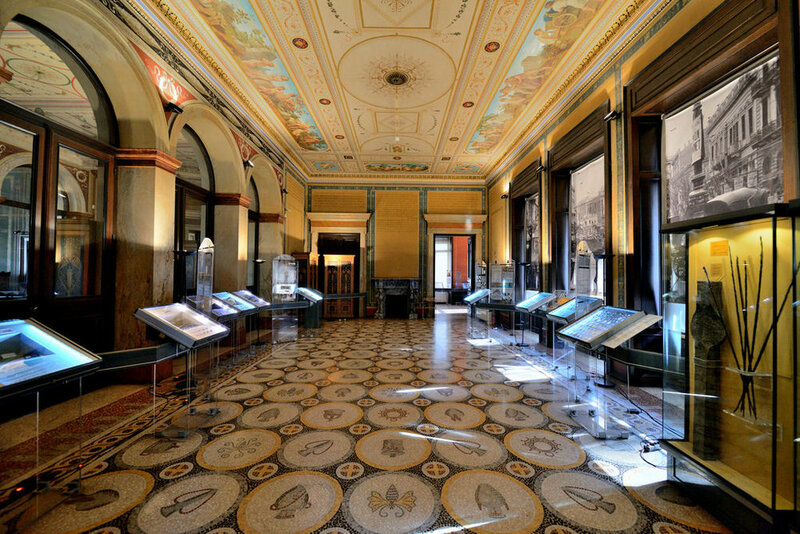 The exhibition presents the renovations and conservation done by scientist from the National Technical University of Athens as recorded by a group of National Geographic researchers. The museum itself is housed in a beautiful 19th century building. The building complex, reminding in some ways and underground maze, mixes neoclassical architectural style with romanticism. The visitor can also check out the gift shop, with certified copies of some of the displayed objects, such as icons, murals, engravings and jewelry among others. Lovely handmade objects and books dedicated to the study of the byzantine culture are also available. End your museum visit by visiting the Café – bistro Illisia in the museum’s lovely garden. Opening Hours: Tuesday-Sunday 08:30 – 15:30. Monday 12:00 – 20:00. 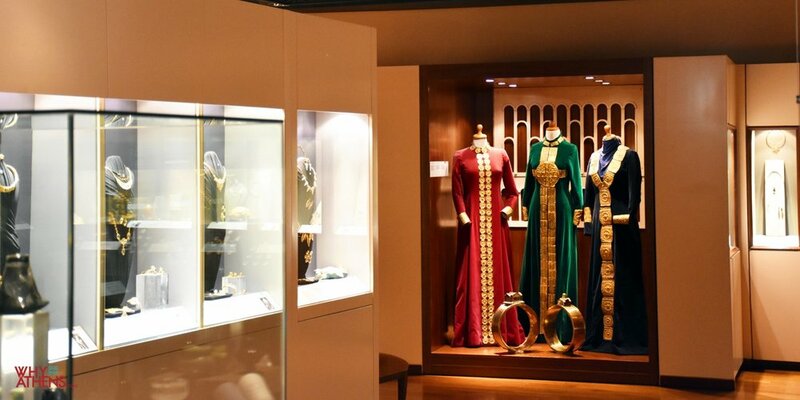 Inside the lias Lalaounis Jewelry Museum, you can find over 4000 pieces of jewelry and microsculptures, designed between 1940 and 2000 by the museum’s founder. Ilias Lalaounis is an internationally renowned artist and jeweler, with great ideas and full of surprises. He has studied ancient goldsmith and prefers to manually hammer the metal for his creations. Most of his collections are inspired by archaeology and the early civilizations of various cultures in Europe, Asia and the Americas. However, his designs are not limited to this. His collections include designs inspired by astronomy, biology, nature, space and modern technology, among others. 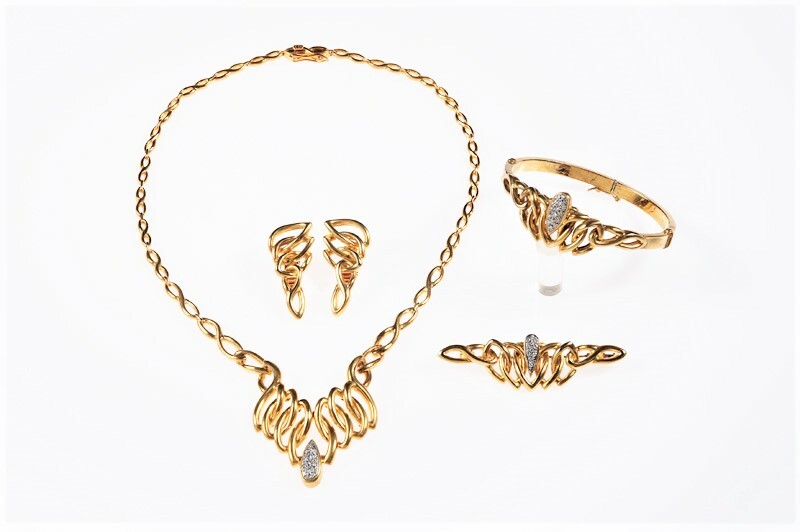 Celebrities such as Elizabeth Taylor, Jackie Kennedy Onassis and Barbara Streisand have worn his pieces! The museum is housed in two adjoining buildings, connected internally. The first building, on 12 Kallisperi Str, dating to 1930s, was the original workshop of Ilias Lalaounis Company. In 2003-2004 the building was renovated based on architectural plans and alterations designed by Bernard Zehrfuss and carried out by Vassilis Georgiadis. The building on Karyatidon Str dates back to around the 1920s and used to be the house of the Lalaounis family. The Ilias Lalaounis Jewelry Museum was the first museum in Greek designed accessible to people with disabilities. The museum temporary collections include over 4000 pieces of jewelry and microsculptures, designed between 1940 and 2000 by the museum’s founder. The works on display are of course only a selection of the many amazing creations made by the master jewelers of the Lalaounis workshop. 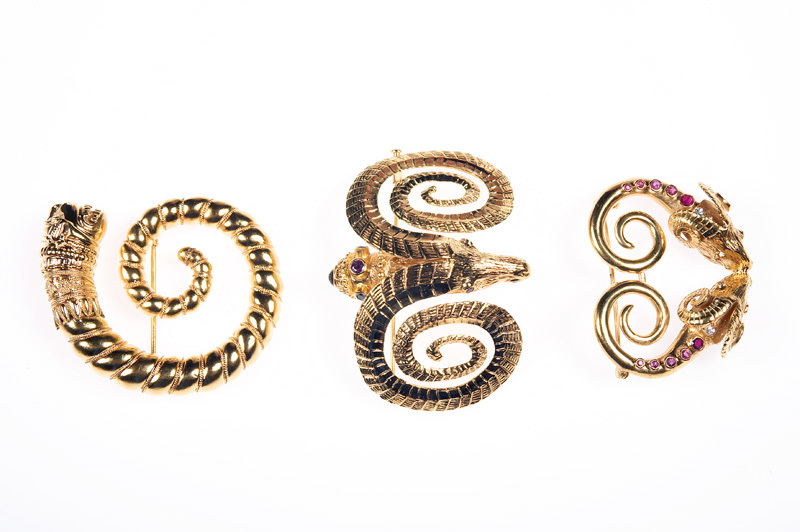 The permanent collection has been enriched with donations from around the world and from different periods, like traditional Greek jewelry from the 19th century. The museum focuses on the history of decorative arts and jewelry making, with 50 collections displayed, spanning for more than 50 years, and organized in six sections, on the first floor of the museum. The collections are supported by visitor information in 7 different languages, wall texts, as well as maps and DVDs. On the second floor the microsculptures from the permanent collection are presented, but also the temporary exhibitions of applied and decorative arts hosted by the museum. In the Museum you can also find the archives of the Lalaounis Collection, including models, designs, photographs and digital data. A jewelry model workshop is also available to the visitor, with craftsmen working on jewelry using ancient and modern tools. A lot of activities are organized throughout the year as one of the museum’s main mission is educational. These educational programs include activities for kids on the ancient art of goldsmithing, children’s theater, family weekend programs, workshops, seminars, publications, while internships for students are also available. The Ilias Lalaounis Jewelry Museum is in all honesty a beautiful and unique museum. The only problem is that you probably will want all the creations! Opening Hours: Tuesday – Saturday 09:00 – 15:00, Sundays 11:00 – 16:00. Mondays closed.